Are you prepared to take the chance that your AC won’t work? Maybe you’re wondering why your energy costs seem to go up year after year despite the fact that you haven’t been changing your habits. For these and other reasons, it’s crucial that you get your AC serviced regularly just like you would your car. After all, with the temperature outside rising, your AC is one of the most important appliances you own, and it needs to be treated accordingly. Our Complete AC Tune-Up involves a full 35-point diagnostic evaluation to make sure it’s functioning properly. During this inspection, the technician will point out minor problems before they become bigger than they currently are. Parts will be repaired or replaced as needed and approved by the homeowner. Then, the coils are cleaned and up to 1 pound of Freon is added. After that, we will conduct a condensate drain line flush and you will receive a new permanent washable air filter. All of this helps keep your AC working properly, and should be scheduled and performed on a regular basis. Living in Arizona, you know just how hot summers can get. You also probably know that your AC has a big job to do to keep your house comfortable. Regular tune-ups help several things that are important to any household in Arizona. Did you know that dirty coils or a clogged filter could cause your AC to work harder than it needs to in order to cool your home? And that this extra effort translates into higher energy bills for you? Energystar.gov recommends regular tune-ups of your HVAC system to help ensure that it works at peak efficiency, and prevents you from paying too much in energy costs. Most manufacturers also require that you have maintenance performed annually in order to maintain your warranty. Let’s face it; a new AC is a big investment, and one that you need to budget for. 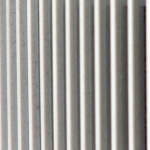 That’s why regular tune-ups can be so important — they help prolong the life of your AC. By ensuring regular tune-ups, you’re also ensuring the unit is regularly inspected so that problems can be caught before they interfere with function. And making sure that your unit is working at peak efficiency means that it doesn’t overwork itself into an early grave. When it’s above 100 degrees outside and your AC stops working, this is an emergency situation that demands you take care of it now, whether it’s in the budget or not. Getting regular tune-ups means that your AC is less likely to stop working suddenly, right when you need it the most. Because tune-ups are less expensive than a new unit or emergency repairs, they’re actually saving you money over the long haul. You want your family to stay safe no matter what, and an AC tune-up contributes to their well being. Leaking Freon or water backing up into your home and promoting mold growth can cause major health issues. Making sure your unit is serviced regularly can prevent these problems from occurring, and can help you catch and deal with any that have already occurred in a timely way, before they can affect your family’s health. While you can get an AC tune-up at any time of year, the best time to schedule maintenance is right before you turn on your air conditioner in the late spring and early summer. That gives the technician time to find and repair any minor issues before you turn your AC is on for the summer. It also helps guarantee that your AC will be in peak form during super hot Phoenix, AZ summer days. But remember, there’s no bad time to call. If you forgot to get your preseason check up done, it’s better to do it late than never. Call us today at (602) 910-2758. How Do You Know When It’s Time to Buy a New Air Conditioner? 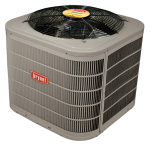 Does Adding Freon Help AC Units?